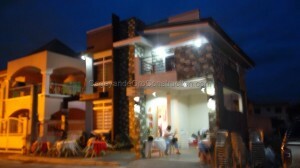 As a budding company, HomeChoice Planners and Construction Corporation started out in June 2006 renting office spaces. The company was first located at Tiano – Akut streets in Divisoria and then transferred to one of Pueblo de Oro’s commercial building. It was in April 2, 2013 that HPCC began to realize its plan of having an own office and held its groundbreaking at Golden Glow North Arcade. And now after almost a year of constructing the HPCC Commercial Building, the company has finally transferred to its new office. This time around, the company is the owner of the building. 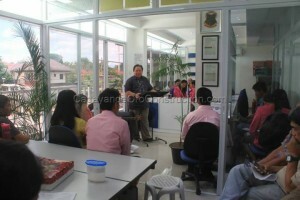 Last March 18, HPCC had its office blessing that was ministered by Ptr. Elpie Taboclaon and members of the First Assembly of God Church. Though the commercial building isn’t finished yet, HPCC has already made the big leap to transfer to its new office. HPCC Commercial Building is a proposed four storey building and as of now, it has built up to the second floor only; but the remaining two storey of the building will soon be constructed. And we just can’t wait to see the completion of the four storey building. HomeChoice Planners and Construction Corporation has indeed grown to be a successful company. And up until now, it still continues to grow and prosper by venturing into new innovations and technology. HPCC has reached to where it is now because of God’s grace. Since the time that the company has started its mission of being blessed to be a blessing; the company’s blessing from God has never stopped since then. And truly, everything that the company has, it owes it all to the Lord Almighty. This leap that HPCC has made is just the start of the many big leaps that waits ahead of the company. Glory to God! Kudos to HomeChoice Planners and Construction Corporation for another successful project! 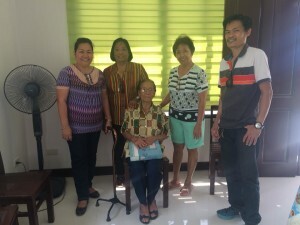 A newly built bungalow house was turned over to another satisfied client last April 27, 2013; in the same date, house blessing was also conducted. This house and lot project of HPCC at Xavier Estates is the company’s second house construction that was made by Plaswall Building System. Since the company’s venture in this technology, construction of houses has been faster thus the target completion is attained on time. Using the Plaswall Technology, it ensures delivery of a good quality house to the client. As a result of this, HPCC continues to promote and market the use of Plaswall Building System. For this project, HPCC proudly turned over the house to its rightful owner as this will now be included in the company’s portfolio of customized and conceptualized houses. The house was built according to the client’s desires and plans; and we are glad to see the satisfaction shown by the owner of the house. And in return, we would like to thank the family for giving us the opportunity to realize their dream home. Seeing the smiles plastered on their faces as they have seen the outcome of the construction, gave us the will to continue our undertaking. The turning over and house blessing of the house was a success as the family’s friends and relatives were present in the event. 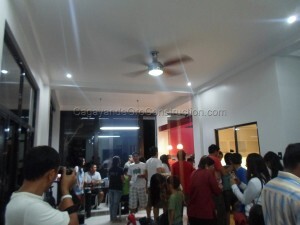 And we just couldn’t contain our gladness hearing the guests’ praises and appreciation for the built house. With this, HPCC would like to express its sincerest gratitude to the family for believing in our services and abilities in building their house. As we have realized their dreams, ours has also been fulfilled and that is to be a blessing unto others. And we all deserve applause for that – Cheers! Cheers! 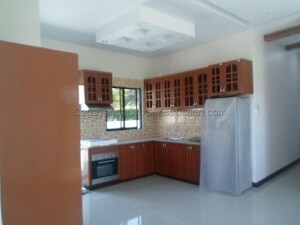 This is for the family who’s now staying in their new house built by HomeChoice Planners and Construction Corporation. The cheer is also extended to the company for the success in building the house using the Plaswall Building System. 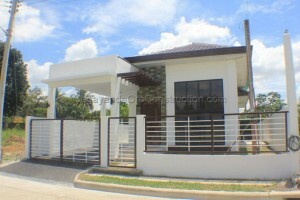 This newly done house at Xavier Estates house was the first project of HomeChoice Planners that has used the Plaswall Technology. It’s a first here in Cagayan de Oro City and our company is proud of it. As you can see, the finished product of this new innovation that the company has ventured, is now standing proudly in one of the city’s high end subdivision; Xavier Estates. Along with the company’s successful work is turning the family’s dream into realization; as they have transferred to their new humble abode. With this, a house blessing was conducted by the family. The said ceremony was conducted last February 8, 2013. It was a lunch event and invited were the relatives and friends of the family as well as the company’s staffs and the church who ministered the service; CDO First Assembly of God church that was headed by Ptr. Elpie Taboclaon and Ptr. Walter Richie. At the end of the service, the owner of the house went up front and gave a short speech, thanking our company for the services that we have given to them. HomeChoice Planners is of course overwhelmed with the gratefulness that the family has shown to the company. It’s also our pleasure to be helping and working with the family. And it’s a privilege for us to be able to make their dreams come true. Because that’s what our company aims to do; turning your dream house into reality. Congratulations to the family for their new abode! 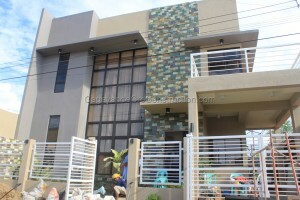 For the family who owns the now finished Xavier Estates Project 4 house, year 2013 is indeed a remarkable year for them. Their long wait is over as the said project is in its complete state already. 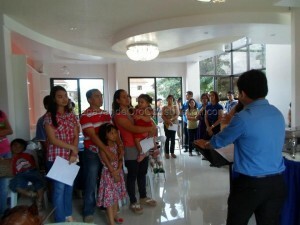 With this accomplishment, the family has conducted a house blessing service last January 27, 2013. It is but right to offer this great gift to the Lord Almighty for He is the creator and owner of everything. 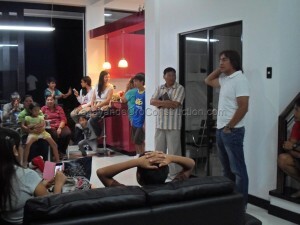 Wanting to share their excitement and happiness, the family invited their relatives and close friends. 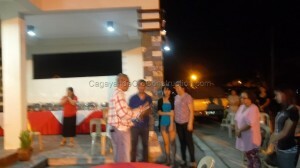 The HomeChoice Planners staffs and CDO First Assembly of God members were there as well to congratulate the family. Ptr. Lloyd Yana of CDO FAOG church was the one who preached in the ceremony. Cheers and congratulations to the family! Thank you for entrusting HPCC to build your dream house. It is just fulfilling to see that HomeChoice Planners and Construction Corporation has made yet another family’s dream come into realization. The company is in glee as well seeing that one family is happy and satisfied with the turnover of the house. Just a smile and positive comments from our clients is worth the pay for all of our efforts in building their house. HomeChoice Planners and Construction Corporation is giving their best shot in every projects that their work on. They work real hard because they wanted to gain the satisfaction that the clients want with their house. The company does not only rely with its own knowledge and abilities but they get it from God as well. God is the sole and main foundation of the company that is why we are so grateful for all of the things that He has given to the company. All glory and honor to God! Christmas season is here! And at this time, everybody is busy listing down things to buy for the gift giving. Speaking of gifts, one family is sure very merry in this season as their dream has finally come true. And this realization was the biggest gift that they have received from up above. This Vista Verde Village Project that HomeChoice Planners has been working on for almost 7 months can now be physically seen standing in the said subdivision. 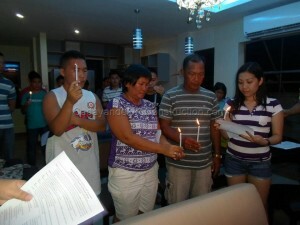 With this, the Mejica family has decided to conduct a house blessing last December 26, 2012. The celebration was made to honor God for the wonderful gift that He has given to the family. They also wanted to say hello to year 2013 in their new abode. HomeChoice Planners is really grateful for this accomplishment as they have made another family happy this Christmas season. The company is also thankful to the Almighty Father; that with His guidance and protection, another project was successfully done. In behalf of HomeChoice Planners, big thanks to the Mejica family for trusting the company’s service with this house project. It’s a great pleasure for the company to build their dream house. Thank you also for being a part of our family. Kudos! For this year alone, HomeChoice Planners and Construction Corporation was able to build almost 10 houses. Each houses built were turned over to the rightful owners in its complete state. As the year is about to end, numerous house projects are almost to finish and in line for turnover on this month of December. One of the projects that are included in the turn over list for this month is the Vista Verde Village Project 4. 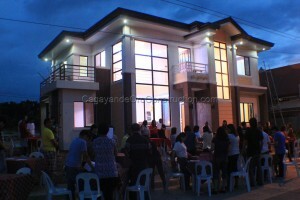 Last December 8, 2012, the newly built house at Vista Verde Village was finally turned over to the de Leon family. And at the same time they also had their house blessing. The de Leon family is very grateful for the blessings that the Lord Almighty has showered upon them. We were privileged to be invited in the said house blessing and hear the very kind words that the family has said to us. To the de Leon family, thank you so much for the positive words. We too are glad to be part and tool in realizing your dreams. Thank you also to our Almighty Father for this yet another successful project. We thank Him for the continuous guidance and protection. This is just the first of the so many houses included for the turn over. We just can’t wait to see the other projects done and turn it over to the families concerned. Surely, they are excited also because their Christmas will be spent in their new humble abode. Updates soon! Here’s yet another accomplishment from HomeChoice Planners. The Johnsen project at Hillsborough Pointe is now over and done. This two-storey project can now be seen physically in one of the upper middle subdivisions here in the Pueblo de Oro Township. The dream house of the Johnsen family was turned over last September 22, 2012. In the same day, they held their house blessing. 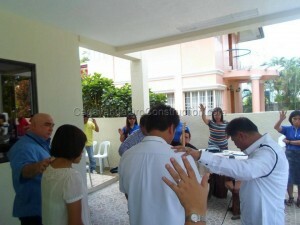 The blessing of the house was officiated by Ptr. Elpie Taboclaon of the CDO First Assembly of God church. Other relatives and friends of the concerned family were present in the blessing; the staffs of HomeChoice Planners and members of the CDO FAOG church were present also. A satisfying dinner then followed after the blessing of the house. It was an awesome celebration because finally the family can enjoy staying in their new humble abode. It’s also a thanksgiving offered to our Savior for the great blessings that he has showered upon the Johnsen family and also to our company. HomeChoice Planners would like to thank the Johnsen family for entrusting us in turning their dream house into reality. We are grateful for being a tool in realizing the family’s dream. To the Lord Almighty, thank you so much for the amazing things that you have given to us. Cheers to us! It’s just fulfilling to see that we have yet accomplished another construction project. We’re happy to inform that this certain project that we’ve been working for almost seven months is officially done. We are also honored to be a tool in realizing the dream house of this amazing family. 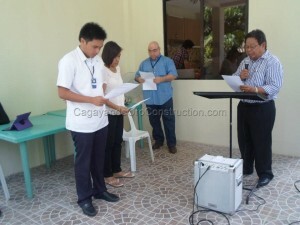 On May 31, 2012, the newly built house at Philam-Life Village has turned over to the Ignacio family. At the same time, they conducted their house blessing. 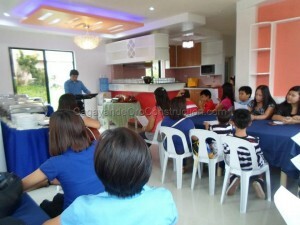 They invited their family and friends to witness the unveiling and blessing of their humble abode. A pastor from their church officiated in the blessing of the house, but before the blessing, he shared to us words of wisdom that is worth pondering to. Words telling us that each one of us is blessed by the Almighty Father big time. The Lord God created us in this world not to suffer but to enjoy and appreciate all the things that is intended for us. HomeChoice Planners is indeed grateful for this fulfilled project. Seeing the satisfaction and smiles plastered on the faces of the concerned family is worth all the effort and hard work that we have put onto this project. Thank you to the Ignacio family who in one way put their trust in us to build their house. Thank you for believing in our abilities to realize your dream house. Big thanks also to our loving Almighty Father who continually blessed us with so many projects. All of our success, we lift it up to Him. And it was done! Months of waiting for this project at Kisanlu; and now, the time has come! After almost 7 months of working for this house construction, it is now finished. This is another project that we’re proud of its completion. It’s an added achievement for HomeChoice Planners and Construction. 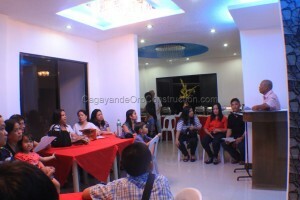 The most awaited part of this project happened last March 11, 2012. On the said date, the house was turned over to the Ocer family and at the same time held their house blessing. The house was turned over in its complete state; 100% complete in all areas, interiorly and exteriorly. Include also the water and electric connections. Together with the turn-over, house blessing was also set for that day. It is just essential that with every blessing that the Almighty Lord has bestowed upon us, we must acknowledge it. Thanking Him with all the grace He has given to us. Now that the Ocer family was given a blessing, that is realizing their dream house, they return the favor by this house blessing ceremony. It is their way of saying thanks to the Lord and acknowledging His presence. In behalf of the HomeChoice Planners, we would like to extend our heartfelt gratitude to the family who in one way trusted the services that our company renders. 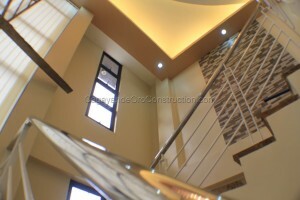 It’s a pleasure for us to serve as a tool in realizing your dream house. And to those who want to build their desired house, it’ll be a privilege for us to assist and help you. Choose us, because there’s no other choice but HomeChoice Planners.